Who is your least favorit Avenger? Who Wants To gabung My Official Avengers Team? Two months after the theatrical release of the explosive "THE AVENGERS: INFINITY WAR", the Marvel Cinematic Universe (MCU) released "ANT-MAN & THE WASP", the sequel to the 2015 movie, "ANT-MAN". Peyton Reed, who had directed the sebelumnya film, returned to helm the latest one. 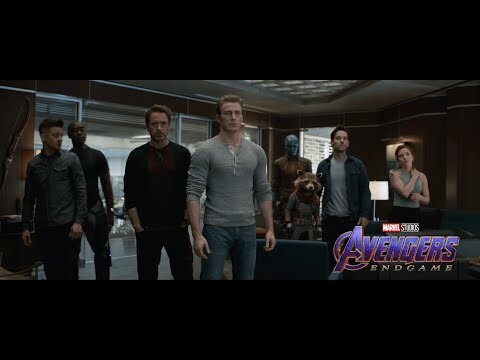 After ten years and eighteen films, the Marvel Cinematic Universe (MCU) finally released "THE AVENGERS: INFINITY WAR". The movie represented the first half of a culmination of the sebelumnya films that either focused atau touched upon the super-villain Thanos' attempt to attain possession of a collection of powerful gems known as the Infinity Stones. Okay, I had just seen the third Captain America film and I was really taken aback oleh the story. So here we go! The Marvel Cinematic Universe (MCU) had released its detik film of 2017 in July called "SPIDER-MAN: HOMECOMING". Although this film marked the first time a solo Spider-man film within the MCU franhise, it marked the detik appearance of the Peter Parker/Spider-Man in a MCU film. The character made its first appearance in 2016's "CAPTAIN AMERICA: CIVIL WAR". In an odd way, this film could be seen as a sequel to the 2016 movie. .
Hi guys, I happened to watch this film with my younger brother just now. I am very impressed oleh it and here is my review! I was a bit disappointed that Toby Macguire did not reprise his role as the judul character, but I have to give a round of applause to Tom Holland for nailing Peter Parker perfectly! When I first watched the film, I thought that from the beginning it was going to be like the Blair Witch Project because it was recorded on Video Camera at the beginning. I am another moviegoer who is getting sick and tired of the regarding Marvel/Disney’s Marvel Cinematic Universe (MCU) films and Warner Brothers/D.C. Comics’ D.C. Extended Universe (DCEU) films. I have come across artikel in which fan of both movie universes have accused the other of excessive bashing. Hi Avengers! Do anda like disney Movies? "I got low. I didn’t see an end so I put a bullet in my mouth and..."
"all I got for my trouble was a visit from the Tooth Fairy." "the other guy spit it out." "tried to end it. I almost choked to death on the bullet." "tried to pull the trigger. My inner green man wouldn't let me."